Our Stuttgart guided tours are all tailored to suit each booking, we do not allow for bookings to be joined. Our guided tours in Baden-Württemberg are all exclusive to each client. To help your organise architecture guides for your trip in Southern Germany please contact e-architect. Stuttgart is the capital of the state of Baden-Württemberg. The sixth-largest city in Germany, Stuttgart has a population of around 600,000 ; the metropolitan area has a population of 5.3 million. Stuttgart has a wide range of contemporary architecture. 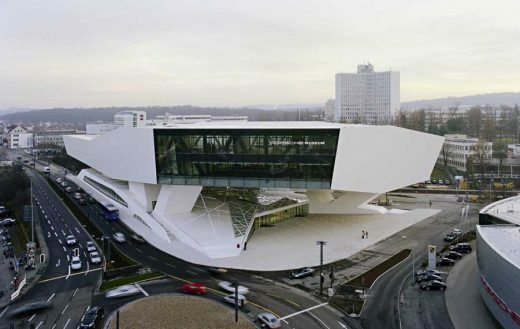 Key buildings include Mercedes-Benz Museum by UNStudio, Neue Staatsgalerie by Jim Stirling & Partner; Jim Stirling Michael Wilford & Associates Porsche Museum by Delugan Meissl and Music School Stuttgart by Jim Stirling Michael Wilford & Associates; Michael Wilford & Partner. Key recent buildings include the Centre for Virtual Engineering by UNStudio, completed in 2013. 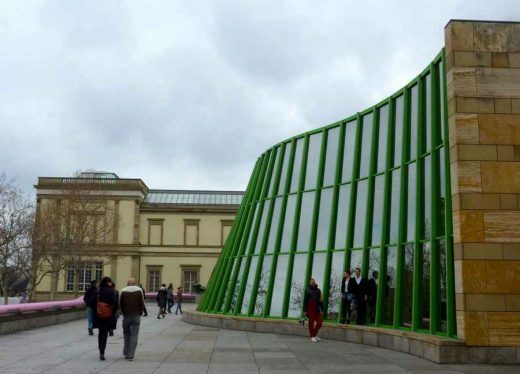 Stuttgart Architectural Tours can focus on traditional buildings, contemporary Baden-Württemberg buildings or both. The Stuttgart Architecture Tour generally features the most significant buildings in the ciy but we are happy to consider specific reqeests. e-architect can provide basic advice ahead of Walking Tours of Stuttgart to help you prepare an itinerary of the best Baden-Württemberg buildings. Visitors can be met from their accommodation or at the starting point of their Baden-Württemberg walking tour. Payments to be made in full prior to any Baden-Württemberg architectural tour. e-architect also organise architecture walking tours in other Northern European cities such as Munich, Berlin, Frankfurt, Cologne, Hamburg, Copenhagen, Oslo, London, Edinburgh and Glasgow.